Leake (1656-1720) was one of the most prominent flag officers of King William and Queen Anne’ s wars. 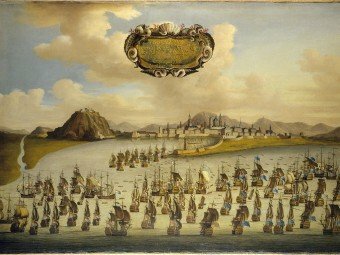 He played a leading part in the relief of Londonderry in 1689, fought at Bantry Bay, Beachy Head, La Hogue and Malaga, twice relieved Gibraltar, captured Cartagena, Alicante, Ibiza, Majorca, Minorca, and Sardinia, was five times Admiral of the Fleet, and in the end declined to be First Lord of the Admiralty. This life was written by the admiral’s nephew Stephen Martin-Leake, Garter King of Arms, whose life of his father (Vol 5) was originally appended to it. This continues his Mediterranean command in Barcelona, Cartagena, Mallorca, Ibiza and proceedings at Alicante. There are then his activities in command of the fleet in the Channel in 1707 and the trial of Sir Thomas Hardy. 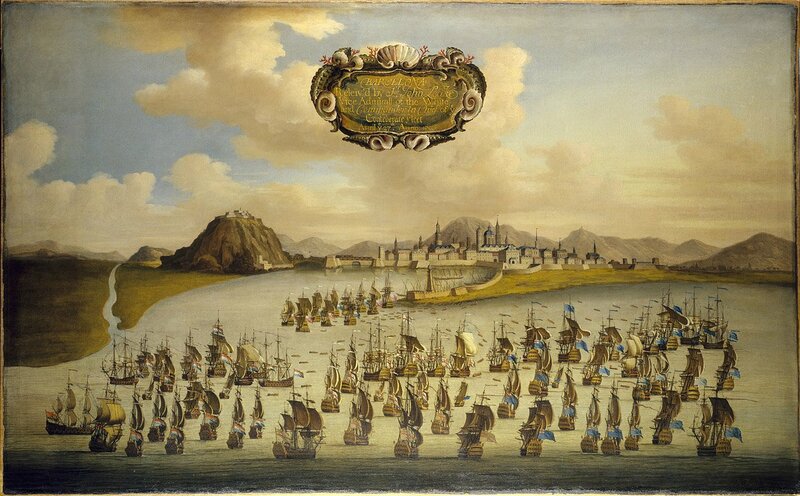 In 1713 he was appointed Admiral of the Fleet for the 4th time and was subsequently to be appointed for the 5th time. With death of Queen Anne and the accession of King George ‘Sir John was removed from all his places’. He retired and lived privately until his death in 1720. Geoffrey Callender was born in Didsbury, Manchester on 25 November 1875 the son of a cotton mill owner. He was educated at St. Edward’s Oxford and Merton College, Oxford, from where he graduated with a second class degree in modern history in 1897. He joined the Royal Naval College, Osbourne in 1905 shortly after its foundation, making up for a lack of any suitable textbook by writing his own Sea Kings of Britain and being promoted to head of English and History in 1913. In 1920 he became the honorary secretary of the Society for Nautical Research, and remained so until his death in 1946. He moved to BRNC Dartmouth as head of the history department in 1921, but after 1 year he moved to be the first Professor of History at the Royal Naval College Greenwich. He oversaw the incorporation of the study of naval history into the newly expanded College, incorporating both the staff college and the war college. Here he wrote The Naval Side of British History and headed up the SNR’s campaign to save HMS Victory for the nation, and to found a naval and maritime museum for the UK. He remained Professor at Greenwich until 1934. •	Sea King’s of Britain 3 volumes (1907-11). •	Spindrift: Salt from the Ocean of English Prose (1915). •	The Life of Admiral Sir John Leake 2 volumes (Navy Records Society, 1918, 1919). •	The Naval Side of British History (1924).